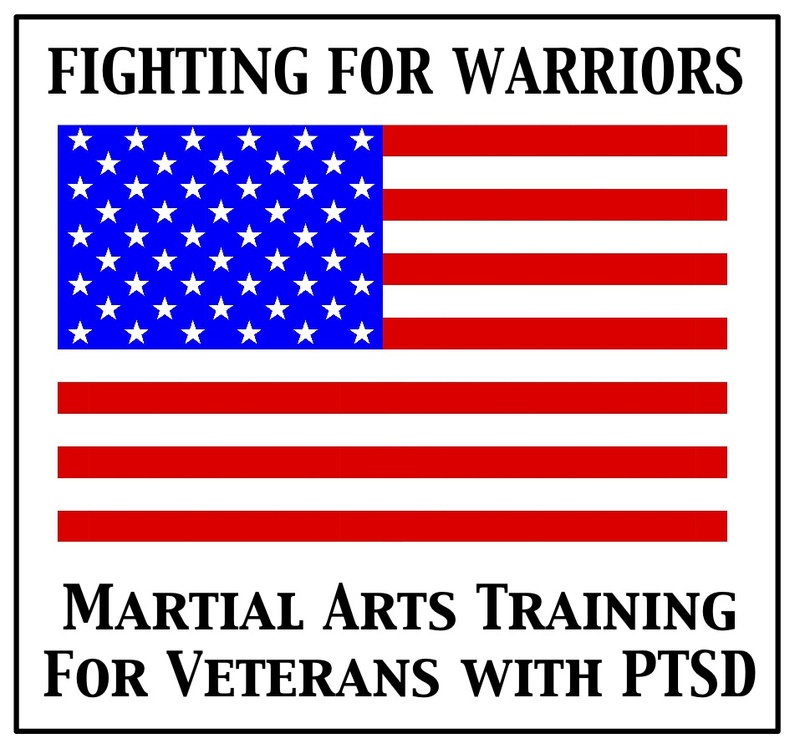 Our program, Fighting for Warriors, allows service men and women to heal their physical and emotional wounds with Martial Arts and fitness training. On Sunday, October 14th from 1-6 pm at the Ivanhoe Block Party (3200 Ivanhoe Ave., St. Louis, MO 63139) we will hold a fundraiser so that these heroes may continue to train at no cost to them. A portion of all the money spent on food and drink at Pizza-A-Go-Go, Muser's Pub and Babe's Tavern will be donated to our program. We will also have raffles and auction items. Make a small donation today! Every dollar can make the difference in the life of a veteran. After 11 years and multiple deployments in the United States Air Force, I decided not to reenlist and get out of the Military in April of 2016. Before I got out I went to my local Veteran Administration Vet Center to better understand what benefits I am entitled to and make my transition to civilian life easier. The very first day I went, I was introduced to Bryan Guidry. Bryan wasnï¿½t paid to be there or doing it to promote his gym, he did it because he cares about our veterans and wounded warriors. Being in the Military, one of the many things engrained in our heads is physical fitness. I was worried that with out the Military my physical fitness out start to decline even further than it already had because I wasnï¿½t working out properly. Bryan offered his gym up to Vets free of charge. I took him up on that offer and after 90 days of training I lost close to 20lbs. Bryanï¿½s gym North Broadway Jiu Jitsu is what any Veteran and especially Wounded Warriors need to live a healthy life. Bryan offers personal one on one classes in any training style you prefer. Additionally, there are a variety of group classes thorough out the day and week for convenience around your schedule. For me personally, I was nervous about entering the civilian world. I knew I needed to get back and stay in shape physically and mentally. Like most deployed veterans, when we come back life isnï¿½t the same. Working out was/is still a big stress relief and way to wind down after a stressful day. Since joining Bryanï¿½s gym, I know my mental health has increased greatly. Furthermore, Bryanï¿½s gym is a great place to hangout and meet new people around the area. Every trainer is friendly and will help you anyway possible. The people you work out with are outstanding because everyone pushes and roots for each other in their fitness goals. Since I have joined, I have lost a lot of weight and back in outstanding shape. My mental health and confidence has soared through the roof. All this was possible because Bryan Guidry has given up his time and talents to help Veterans and Wounded Warriors. You wonï¿½t regret stopping bye and training at his gym at your leisure. I moved to St. Louis January 2012. I was single with a dog and working a job that soaked up my nights and weekends. I wasnï¿½t meeting new people and life was becoming a drag. Someone I started hanging out with learned that I had been a wrestler and told me that I should stop by North Broadway Jiu Jitsu to see if itï¿½d be something I was interested in. I didnï¿½t have much money to spare but after spending some time watching the team practice I was sold and bought a three month membership. After those three months were up I bought a year membership and ended up winning my first white belt tournament the following year. Veterans sometimes shut themselves off from socializing instead of seeking out communities where they can excel and grow. Dealing with PTSD, I had been back and forth between hermit and socialite as my mood and depression waxed and waned. Jiu Jitsu helped me find a middle ground. On one side youï¿½ve got only yourself to worry about. No one else is out there on the mat with you when a match is going. On the other side itï¿½s the team that challenges you and builds you up in training. Bryan Guidry took the time to get to know me and doesnï¿½t shy away from inviting his team members to after workout lunch or weekend get togethers to watch UFC on TV. The Fight Fit classes helped get me back into shape and built my self-confidence back up. They were structured in a way that everyone was working hard and together but no one single person could slow down the whole class for everyone. Bryan even took the time to workout with me one on one when it was only me that would show up or when he felt guilty for getting McDonaldï¿½s. The short of it: I felt like I was a part of a team again. I could help people with their goals and at the same time be helped. Jiu Jitsu is a great sport and Guidry is someone who can make you good at it. In April, 2014, Jay rode his bike across the country to raise money for charity to honor his fallen marine and good friend, Johnny Strong. In 2007, Johnny Strong was serving as a mortarman with 2nd Battalion, 7th Marines in Al Anbar Province, Iraq. We were assigned to Mobile Assault Company, Mobile Assault Platoon 2, Bravo Squad. He was quiet for a marine, but a hard worker and possibly the best humvee driver I have ever seen. During what was our second tour to Iraq, we started to discuss what we wanted to do once we got out of the Marine Corps. Johnny wanted to join the video game industry and learn how to create video games. He was an avid gamer. He was never far from a piece of electronic entertainment and would rent out his games and movies while we spent time back at base. This earned him the nickname ï¿½Best Buy.ï¿½ Tragically, his dream to join the video gaming industry would not come to pass. On June 12th, 2007, Johnny Strong made the ultimate sacrifice. 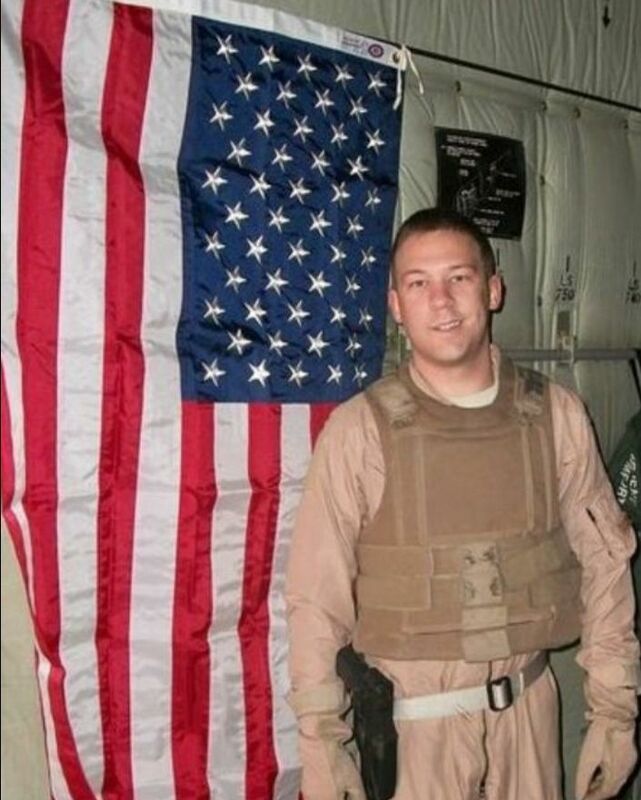 While conducting a security patrol in Al Anbar Province, Johnny was shot and killed by an enemy sniper. He had been one of the first to volunteer to do an extra security sweep around the perimeter of the platoonï¿½s temporary forward operating base. He had just turned twenty-one two weeks prior. My name is Jay Knight and I served with Johnny. He was apart of my team; my brother and my friend. I want to help his memory live on in a way that exemplifies his aspirations and caring heart. I will do this by raising money for Childï¿½s Play Charity in his honor. Childï¿½s Play was created in 2003 by Jerry Holkins and Mike Krahulik, the creators of a video game themed webcomic, Penny Arcade. The mission of Childï¿½s Play is to improve the lives of children with toys and games being treated in over 70 hospitals worldwide. As of 2012 they have raised $17,596,670. Holkins and Krahulik have also created one of the largest gaming festivals and conventions in North America. Penny Arcade Expo, or PAX (now PAX Prime), has been held in Seattle since 2004. A second yearly convention, PAX East, has been held in Boston since 2010. 2013 will be the first year they also host a PAX in Melbourne, Australia. In 2011, PAX Prime had over 70,000 attendees. To raise money for Childï¿½s Play I will be riding a bicycle from PAX East to PAX Prime. PAX East usually begins near the first week of April and PAX Prime around the first week of September. Dates will be finalized when the PAX organizers officially release them. The route is approximately 4,400 miles and was planned allowing visits to many hospitals that are recipients of Childï¿½s Play donations. I will have approximately 145 days to complete the ride. 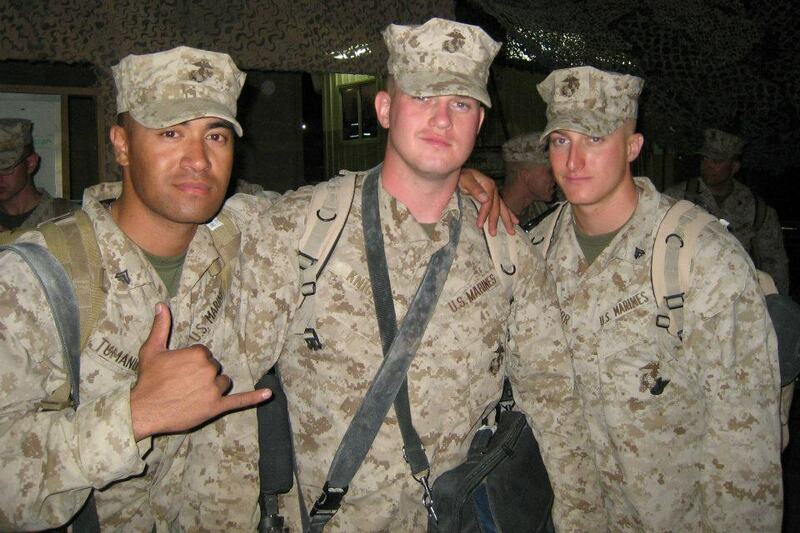 To honor Lance Corporal Johnny Strong. To inspire veterans to honor their fallen friends and to seek guidance and help in dealing with their grief and loss. ï¿½My name is Tearion and I am a disabled veteran that was diagnosed with post-traumatic stress disorder (PTSD) and General Anxiety Disorder (GAD). The disorders are very debilitating to the point that I was prescribed pills to help me cope with my intrusive flashbacks and inappropriate adrenaline rushes. The pills worked wonders and helped me, but I had many different side effects like high blood pressure, weight gain and intestinal problems. This concerned me greatly, so I began to seek out other methods to help me cope with my disorder. Well to make it short, I found Brazilian Jiu jitsu (BJJ) under the instruction of Bryan Guidry at North Broadway Jiu Jitsu to be a complimentary solution to the symptoms of my anxiety disorder as a method of helping me deal with my unbalanced adrenaline disorder. Bryan is a great instructor that listened to my situation and patiently worked with my conditionï¿½s quirks. After each BJJ session, I felt humbled, relaxed and very calm. 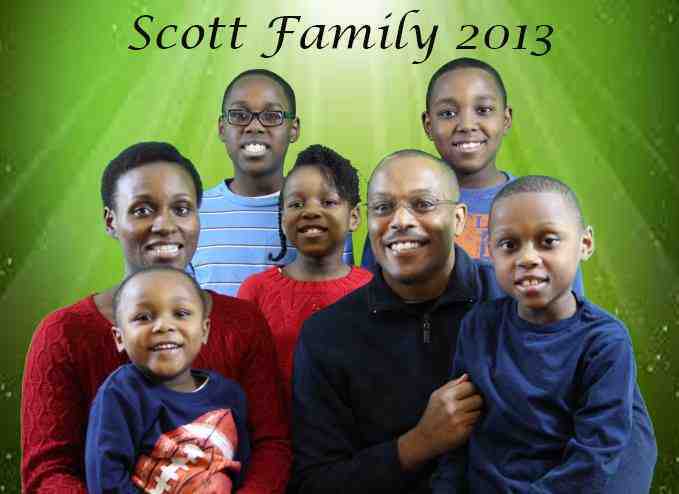 My wife and children noticed the difference immediately and so did I. I have learned that I am not cured from the disorder, which is a bummer, but I have beaten high blood pressure and no longer have intestinal problems, because I no longer have to depend on a pill to regulate my mood. I have lost over 25 pounds and my cardio stamina is great for a 40 year old. I highly suggest that anyone suffering from an anxiety disorder, like PTSD, seek out Bryan Guidry at North Broadway Jiu Jitsu as a compliment to medical and counseling guidance."